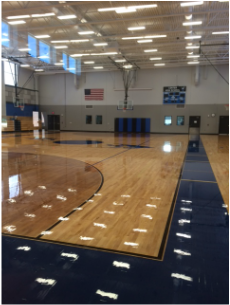 I want to begin this week by offering my deep thanks to our custodial staff for the great work they did over the winter break refinishing the varsity gymnasium floor, making our playground safer by laying more wood chips down, and shining up our hallway floors both upstairs and downstairs. the Alamosa, Antonito, BOCES, Center, Centennial, Centennial, Monte Vista, Moffat, North Conejos, Sangre De Cristo, Sargent, and Sierra Grande school districts met to continue creating and refining quarterly assessments of the Colorado standards. Additionally, during the afternoon Friday’s participants had the opportunity to attend a series of breakout sessions aimed at supporting highly effective classroom instruction. Many of these sessions were taught by our own teachers. Our custodians did a great job preparing our facilities, including the auditorium for our whole group morning gathering. The technology staff did a wonderful job making sure our wi-fi system was open to our special visitors and ensuring all instructional technology was operable for our session presenters. Our teaching staff did an outstanding job facilitating PLC groups and teaching afternoon breakout sessions. Finally, several of our cafeteria staff members worked on what would otherwise have been their day off to provide a wonderful breakfast and lunch for all 180 participants. I just can’t express how proud I was of the professionalism that was displayed at all levels of our organization in relation to this effort on Friday! 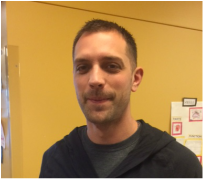 I would like to welcome new Center Schools employee Marcus Mortensen who has been hired to coordinate an after school reading enrichment program that is being funded by a federal literacy grant secured by the Save the Children foundation. Marcus has been spending a lot of his time getting trained to operate the program and making numerous purchases to secure the items needed to operate the program. His efforts will soon result in more of our students in grades K-5 being able to receive after school reading support and on-line reading instruction, as well as access to coordinated after school enrichment movement activities. Thanks for all the hard work you are doing Marcus. I know our kids will benefit from your work. Finally, I would like to thank senior seminar instructor Katrina Ruggles for once again inviting recent Center High School graduates to return to school to share their first year of real world and college experiences with their former classmates. This is a wonderful activity Mrs. Ruggles conducts each year at this time, when our graduates are home on winter break, and it gives our current students a chance to hear from their peers just how important what they are learning in school is to the rest of their life. This month we are beginning to conduct our annual Spring improvement process. We do this by having our District Accountability Committee and Building Leadership Teams carefully look over student achievement data related to school and district accreditation performance frameworks. Based on this information we then choose areas of focus, consider some things we should stop doing at this point in time, then plan activities aimed at our chosen focused areas of improvement. Then we build action plans and work to secure and allocate the dollars needed to execute our work. Another big task we are working on right now is putting together a mid-year budget adjustment for the board of education to consider this coming Tuesday evening. Each year every school district in Colorado is required to do a mid-year budget revision by the first of February in order to more accurately reflect anticipated revenues and expenses. The major things we'll focus on in this budget revision include planning to spend an additional $185,000 in capital construction monies secured for us through the great work of Kathy Gebhardt on the Building Excellent Schools Today board of directors, and budgeting the employee salary increases and other income though grant dollars we have been awarded since we originally drew up our budget back in late June. It was nice to see our students and staff members return from the two week winter break on Monday! I spent that day catching up on a lot of routine paperwork and planning out the remainder of my week. On Tuesday I met with Moffat superintendent Kirk Banghart and some representatives from the Public Education Buisness Coalition, including former Jefferson County School District superintendent Cindy Stevenson, who have secured a teacher quality grant to support improved classroom instruction in the San Luis Valley. Mr. Banghart and I discussed the varying staff development needs of school districts and teachers in the Valley and will be working with other SLV superintendents to leverage this opportunity for the benefit of all children in our region. I spent the day on Wednesday organizing my office after a half year of stacking far too much paperwork on my desk. On Thursday I had some help working on the administration office historic display cabinet, cleaning it up, labeling items, and even taking pictures of each relic we have put on display so they can be shared digitally with our alumni and interested folks who no longer live in our area. On Thursday I worked on final preparations for Friday’s regional teacher professional learning community sessions that took place in Center. On Sunday I will be doing a lot of work on our mid-year budget adjustment so director of finance Betty Casanova can prepare documents for board of education consideration on Tuesday night. On Monday, after attending an early morning bullying prevention training with the middle-high staff, I will work on regional PLC expense paperwork so our employees who guided sessions and taught break out sessions can get compensated for their efforts. On Tuesday I have my monthly marathon of meetings including the San Luis Valley Superintendent Advisory Council meeting in the morning, our District Accountability meeting at 5:30 PM in the Fyock Library Community Room, and our regular January Board of Education meeting which begins at 7 PM in the auxiliary gymnasium. On Wednesday we will conduct our thorough mid-year building external evaluation visit for the middle-high, and on Friday I will attend the statewide superintendent school finance advocacy meeting in Fountain-Fort Carson.